I think I’ve told you all about my little problem of hoarding fresh cranberries, right? At any given time throughout the year there are at least three full bags of frozen cranberries in the freezer. When I found out that there was a blogging event called Cranberry Week, I knew it was right up my alley to join in and showcase those tart little buggers. Cranberry Week is being hosted by Caroline of Caroline’s Cooking. Check in all week to see what I and tons of other bloggers have shared! 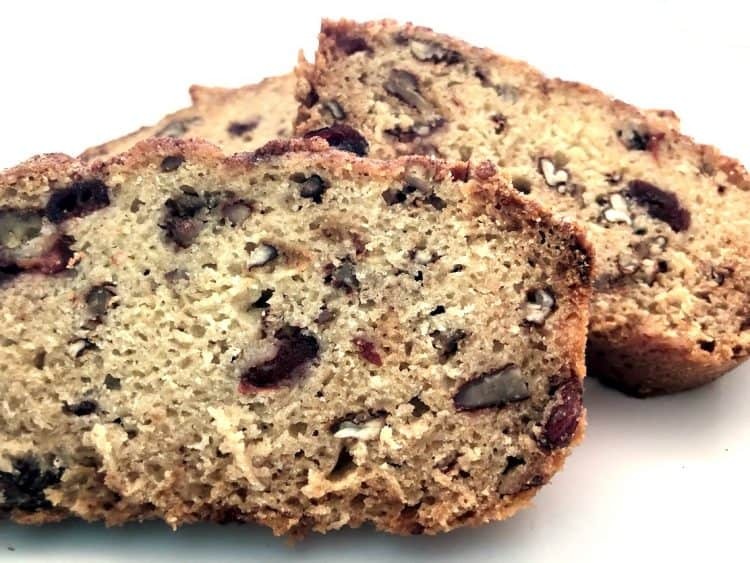 A quick bread filled with cranberries, apples and pecans. 1. Preheat the oven to 350 degrees. Spray a loaf pan with cooking spray. 2. In a large bowl whisk together the flour, cinnamon, baking powder, baking soda and salt. 3. In a medium bowl, whisk together the applesauce and sugar. Pour the applesauce mixture into the flour mixture. Stir until combined. 4. Fold in the apple, pecans and cranberries until just combined, careful not to overmix the batter. 5. Pour into the prepared loaf pan and bake for 45-50 minutes or until a toothpick inserted in the center comes out clean. 6. Allow to cool in the pan for at least 15 minutes before removing to a wire rack to continue cooling. I love fruit filled breads that are quick to make. The bread is delicious, especially if you steal a slice still warm, but I think adding in more cranberries or even using fresh ones would have made it even better. I am loving your cranberry bread! 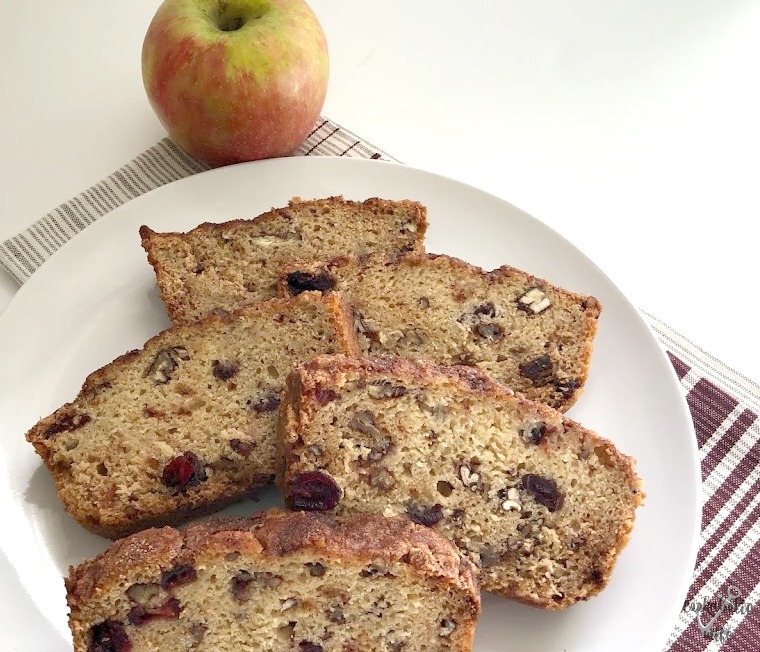 Love quick breads, and this one screams of fall – love it! I love, love a good cranberry bread – so perfect for this fall season! I would love a slice of this bread with my coffee right now, Nichole.